New Garland Collection handmade vintage-inspired solid bracelet links with invisible clasp. 7" length. May be worn alone or piled with charms. 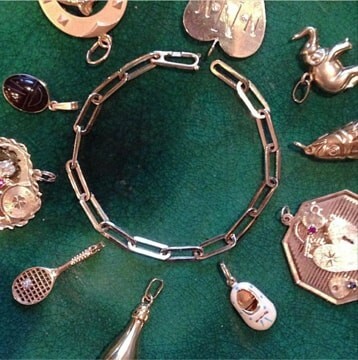 Shown here with vintage charms (sold separately). Garland Collection fine jewelry is made to order and cannot be returned or exchanged. Please allow 3-4 weeks for shipping.